What’s the Stem Cells Buzz this Week? - von Willebrand Factor Expression, Allogeneic Limbal Stem Cell Therapy, FOXD3 in Lung Cancer, and SHED-EV Treatment of PD! To generate a greater understanding of the molecular mechanisms underlying the attainment of an endothelial phenotype, researchers led by Nadia Jahroudi (University of Alberta, Edmonton, Alberta, Canada) studied the expression of a highly endothelial‐specific gene, von Willebrand factor, during the endothelial differentiation of induced pluripotent stem cells (iPSCs) generated from primary endothelial cells. In their new STEM CELLS article, Nakhaei‐Nejad et al. 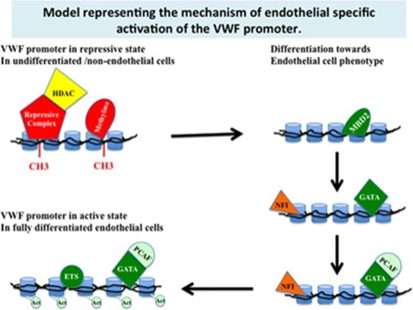 highlight the general importance of alterations in chromatin modifications surrounding the VWF gene, in addition to expression and binding of trans-acting factors that function as activators, towards the establishment of endothelial-specific regulation of the VWF gene. A recent STEM CELLS Translational Medicine study from the lab of John D. M. Campbell (Scottish National Blood Transfusion Service, Edinburgh, UK) reports the results of a controlled multicenter trial to examine the feasibility, safety, and efficacy of allogeneic corneal epithelial stem cells in the treatment of bilateral limbal stem cell deficiency (LSCD). The outcomes of the fully controlled trial, including a control product and use of immunosuppression, provided definitive measurements of the effects of limbal stem cell transplant, evidence of sustained improvement in ocular surface score in the stem cell arm, and some proof of improved visual acuity. Great news! The FOXD3 forkhead box transcription factor regulates the pluripotency of embryonic stem cells (ESCs) and tumorigenicity, although studies have yet to describe a role in tumor‐initiating cells (TICs). 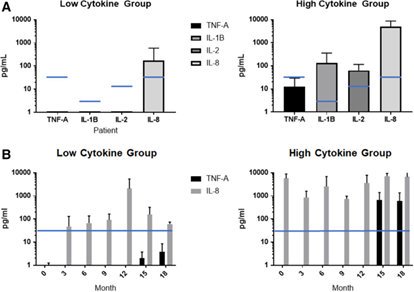 Now, a STEM CELLS article from researchers led by Jianru Xiao and Cong Jiang (Second Military Medical University, Shanghai, China) demonstrates that downregulation of FOXD3 in TICs correlated with higher histologic grades and lymph node metastasis, while FOXD3 expression repressed TIC expansion and cell migration, drug resistance, and osteoclasts. 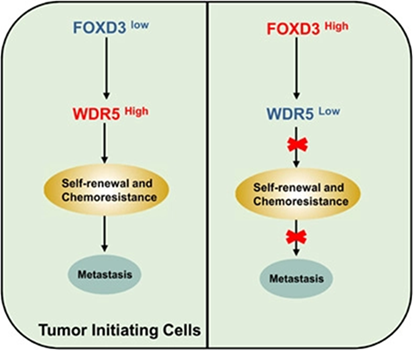 Mechanically, the authors established that FOXD3 represses WDR5 (a protein that regulates TIC-related signaling pathway), that WDR5 expression correlated with TIC abundance and tumor progression, and, finally, that patients displaying high WDR5 expression presented poorer survival. As extracellular vesicles (EVs) can cross the blood-brain barrier, they represent a promising novel means to treat neurodegenerative disorders such as Parkinson's disease (PD). Now, researchers from the lab of Augustas Pivoriūnas (State Research Institute Centre for Innovative Medicine, Vilnius, Lithuania) assessed the potential for the intranasal delivery of EVs derived from human exfoliated deciduous teeth stem cells (SHEDs) in a unilateral 6‐hydroxydopamine (6‐OHDA) medial forebrain bundle rat model of PD. Narbute et al. 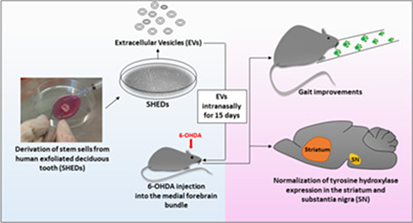 now report that EVs effectively suppress 6‐OHDA‐induced gait impairments and normalize tyrosine hydroxylase expression in the striatum and the substantia nigra of experimental rats. See STEM CELLS Translational Medicine now for more details on this first report demonstrating the therapeutic efficacy of intranasally administered EVs in the unilateral 6‐OHDA rat model of PD.